Scientician: Croucher - Patriot, American Black Ale. 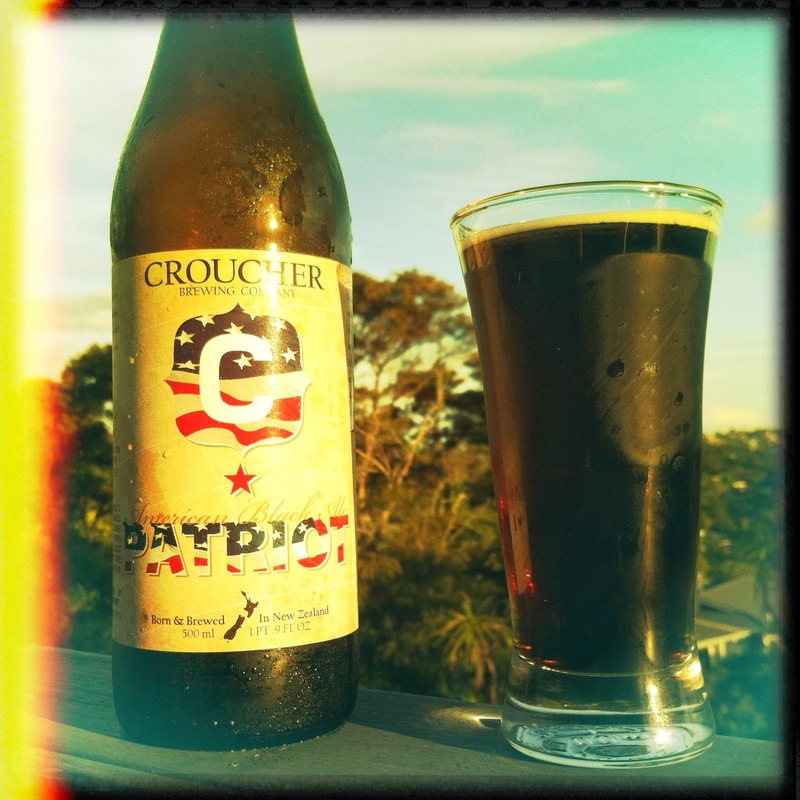 In the fading light of a Monday evening a cool bottle of Croucher Patriot waits, while I clean the kitchen, a beer waits. While I make an urgent phone call while my husband cleans the kitchen, a beer waits. Well wait no more Patriot, I've been eyeing you up for days now and its time to imbibe! Really sturdy dark red/brown colour, slightly tan head that persists and leaves lovely lacing and adding a perception of creaminess to the beer. I think I was expecting this to be super hoppy, American themes in labelling is usually a dead giveaway. Hop aroma is mild, a little citrus with some earthy pine aroma's. Some great malty notes coming forward too. Sweet, subtle hints of shortbread and toasted grain. So what is this? I honestly don't know. There's great piney bitterness on the finish with hints of bittersweet chocolate and coffee. There's orangey grapefruit with biscuity malty goodness. There's a delightful zing on the tongue and an irresistible urge to drink more and more. Is this the wonder that is black IPA? Its confusingly delicious and there's a nice hoppy buzz to be had from not sharing the bottle. At only 5.5% its easy to enjoy by yourself on a warms summers eve.